Keith Cockerill presents on this page three slide shows for your enjoyment. All of which can be viewed full screen. Firstly 'THE RIVER WEAR AT WASHINGTON - ITS FORGOTTEN HISTORY', next on this page. Secondly, lower on the page 'FOUR SEASONS ALONG THE RIVER WEAR AT WASHINGTON'. And last but not least 'AROUND THE RIVERSIDE AT WASHINGTON - PICTURES FROM THE PAST & PICTURES FROM THE PRESENT'. Click on the image two below to start the show. Enjoy! If you have troubles, this may help. But before you do so, here is a fine image most appropriate to Keith's presentation. To illustrate what the staiths, the sites & remains of so many of which are shown in Keith's show, would have looked like - it depicts coal being moved by horse power to a staith building or depot where it was stored as required & then loaded into waiting keelboats. We thank 'Pictures in Print' for this wonderful & so appropriate image - you can view it in at their site, in fact in a rather larger size. The print, by 'E. 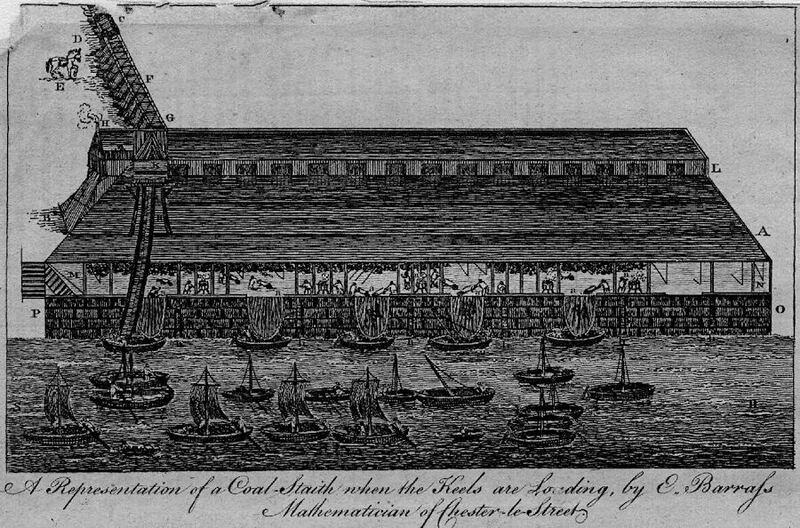 Barrass, mathematician of Chester-le-Street', was published in 'London Magazine' in Jan. 1766. For a PC based high quality version of the show, contact Keith at keith.cockerill@btinternet.com. Keith also has a video version that will play on any machine that supports mpeg2 files on its media player. The growth of Sunderland as a town and port was greatly influenced by its expanding coal trade. In the 19th and 20th centuries, overland colliery railways carried ever-increasing quantities of coal from the Durham Coalfield to the river and docks at Sunderland to be shipped either abroad or down the coast to London. Before the development of colliery railways however, a very different mode of transport was used � the river itself. From the 17th century, coal was carried from local collieries down wooden-railed waggonways by horse and gravity to the many staiths on the rivers edge at Washington. Here it was transferred into keelboats and taken downriver to Sunderland for transfer into ocean going collier brigs. For 40 years in the 19th century, both the colliery railway and river transport systems complemented each other, but the ever-increasing efficiency and capacity of the overland railways eventually sounded the death knell for the keelboat trade. Today, Washington�s riverside offers the rambler many enjoyable walks in a peaceful rural setting, but few appreciate how busy this working river once was. Keith Cockerill has used an 1826 map of the Wear by John Rennie to identify and photograph the remains of the old staiths and quays along the river's edge at Washington. 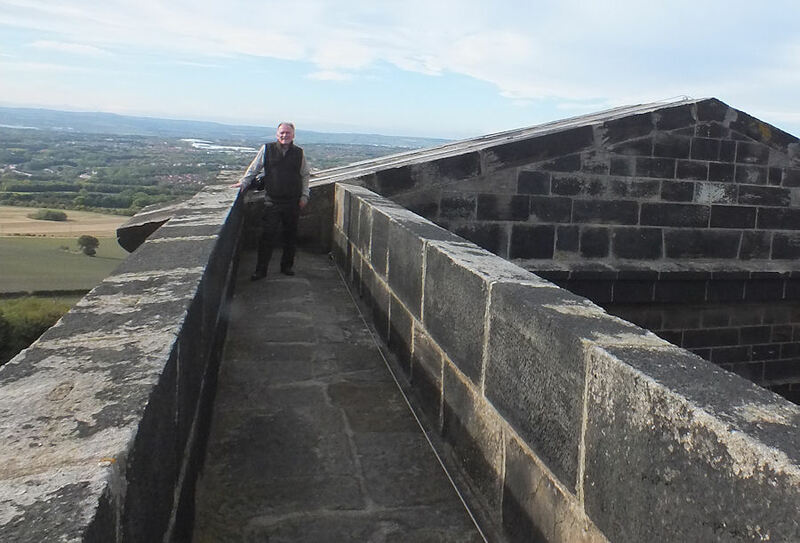 He has produced a slideshow with a musical accompaniment and has added a written commentary based on the observations of 19th century Sunderland author Taylor Potts. Winter, Spring, Summer and Autumn: each season brings its own unique splendour to the River Wear at Washington. The ebb and flow of its tidal waters create a delightful ever-changing landscape but hidden away amongst this rural backdrop lie the forgotten relics of an industrial past. I have created a photographic diary of Washington�s riverside throughout 2012 and have given it a musical accompaniment. Here is an invitation to view that diary. I hope you enjoy viewing it as much as I have enjoyed capturing it on camera! When Washington New Town was created 50 years ago, many of its older villages were changed or lost in the process as houses and buildings were selectively demolished. Many villagers voiced their disapproval at the break up of their communities, non-more so than the residents of old Fatfield. Villages and hamlets along the riverside were no exception to this fate, but great changes to the landscape also took place as redundant pit and chemical spoil heaps were landscaped. This slideshow uses archive photographs to show how the riverside area and its surrounds once looked. Where appropriate, �past and present� images are compared to highlight the changes that have taken place. The finale of the slideshow presents the riverside area of Washington as it looks today in 2014. PROBLEMS SEEING THE SLIDE SHOWS? If, for some reason, you are unable to view this page & its slide shows easily, do let the webmaster know of your difficulties. A few computers, it would seem, show a blank box & 'buffering' notices. Generally resolved by right clicking the image & hitting 'play'. A situation, however, that the webmaster has not personally experienced. It would be good to know if the problem is isolated or widespread. It would seem that the plug in does not work with Microsoft 'Edge' either. I was advised, by the screen, that a plug-in was needed. But having downloaded & installed it, the program still does not display. It does, however, display in MS Explorer. I will keep the page up to date if the situation changes. It seems only appropriate that I should thank Keith Cockerill for providing the above slideshow - by listing here such Keith Cockerill's works as an author, of which I become aware. That's Keith at far right. 'Bridges Of The River Wear', ISBN 1902527348, a soft cover 'Keith Cockerill' book, published in 2005 in 'The People's History' series. 'Sunderland Through Time', ISBN�1848685769, a soft cover book, by 'Keith Cockerill', published by Amberley Publishing Plc, in 2009. 'Memories and Mementoes of Sunderland Through Time', ISBN�1445602164, a soft cover book, by 'Keith Cockerill', published by Amberley Publishing Plc, in 2010. 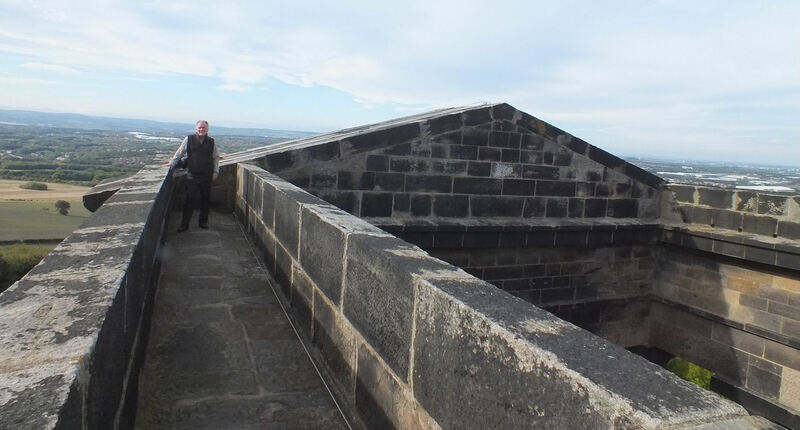 Below, is Keith Cockerill atop the Penshaw monument on Aug. 29, 2011. He cleverly managed to get a fine picture taken of himself with not another visitor in sight. Very sneaky! You can see the image in a bigger & wider view here. What was life like for a sailor in 19th century Sunderland in the days of wooden sailing ships? 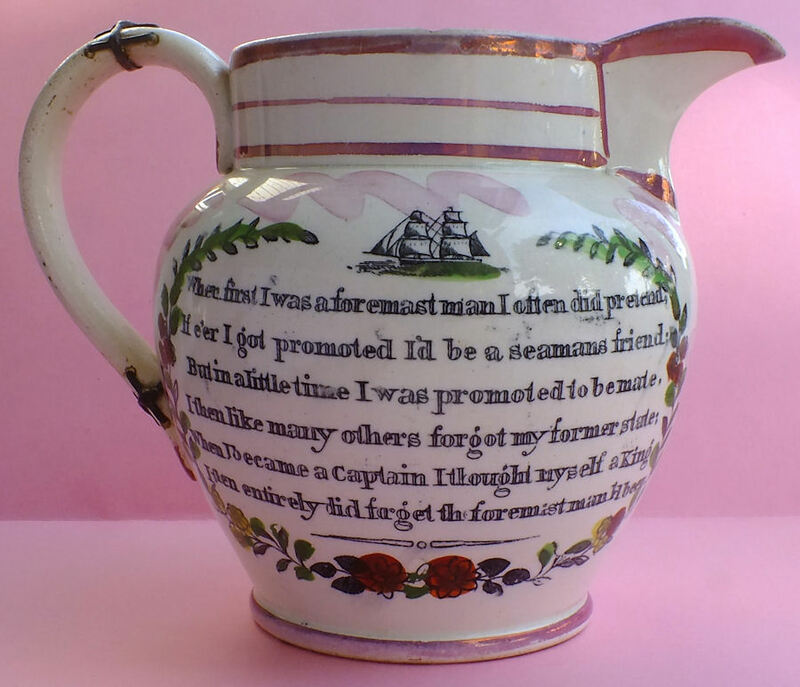 The nautical rhymes and mottoes on Sunderland-made pottery, often bought by sailors visiting the port, give us a glimpse into how life may have been. 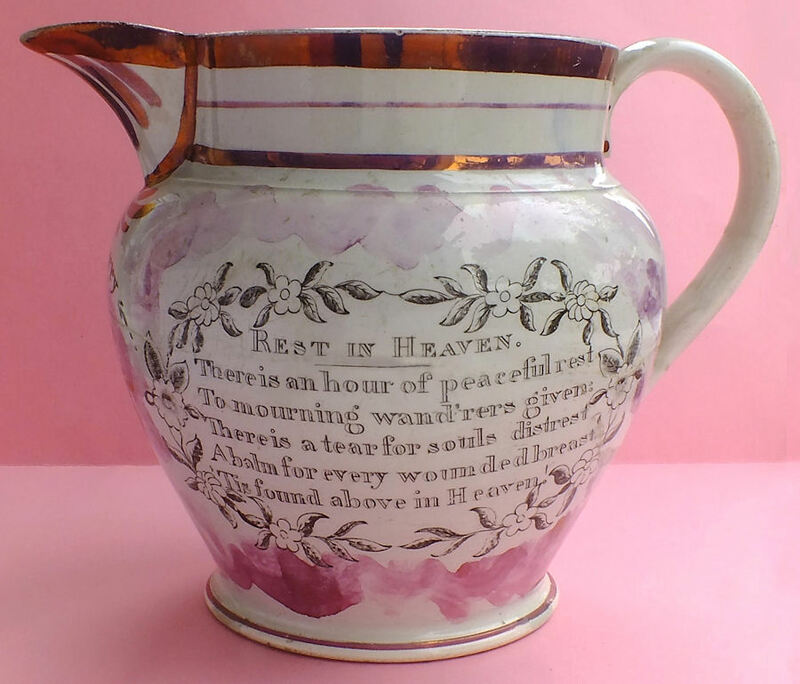 Both happy and sad verses appeared on our local pottery, perhaps to suit the ups and down of life as a sailor in the town! 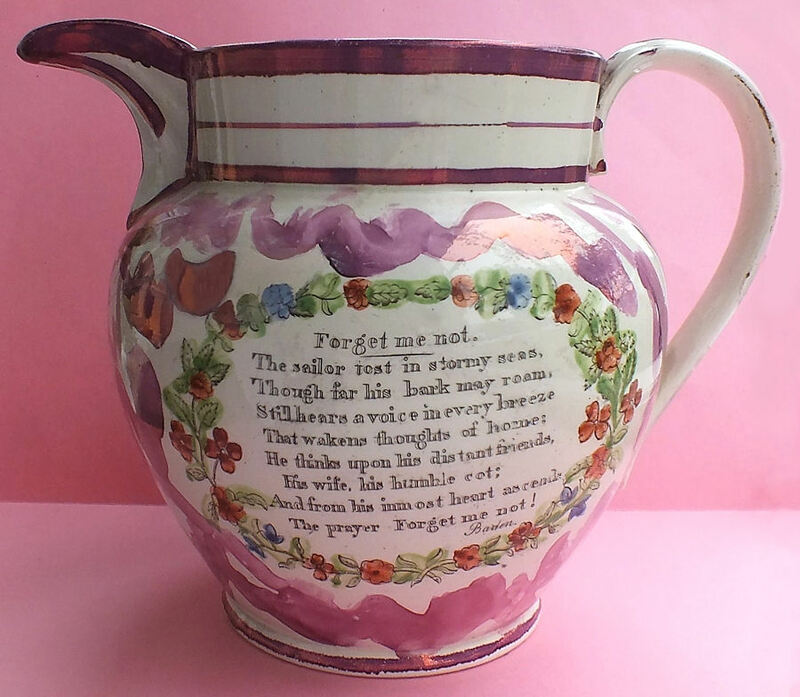 Here is a verse reflecting the romantic notions of becoming a sailor at this time. 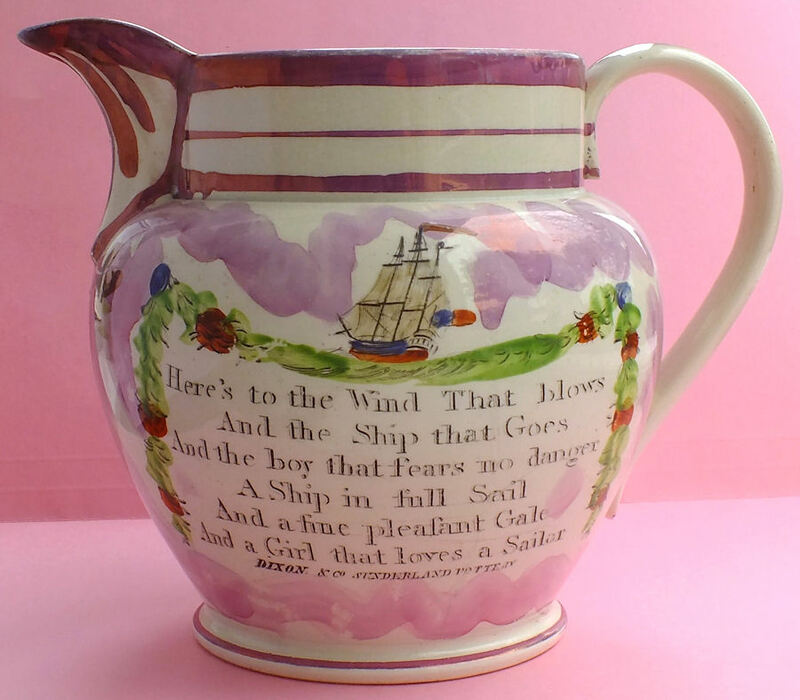 A rhyme indeed to persuade any young hearty lad to go to sea! My great great grandfather Anthony Cockerill & his brother William were two such young lads. They first went to sea at around 14 years of age. Their father, Anthony Senior, was born in Sunderland in 1797 to John Cockerill, mariner of Scarborough. Anthony Senior was a cordwainer by trade, but had wisely invested in the ownership of several wooden sailing vessels registered in the port of Sunderland. Full ownership meant owning all 64 shares of a ship, but 32, 16, 8 or even less shares could be bought, so a vessel often had several owners. Being a sailor in Sunderland usually meant working in the local coastal coal trade, but much foreign trading also took place. In 1849, cordwainer Anthony Senior had the 377 ton barque 'Cockerills' built for him at the local shipyard of William Robinson. By 1852 his sons William and Anthony Junior had risen to become Master Mariners and were captaining this and other vessels in the family fleet. In early 1852, Anthony Junior was waiting to board the ferry to Monkwearmouth, when a young lady called Ann Wilson slipped on the icy ferry steps. Anthony helped her to her feet � he was so taken by her that he contrived to be there every day to help her down those steps! A few weeks later he proposed. They were secretly married and Ann wore her wedding ring on a piece of string around her neck! � furthermore he did not tell her that he was a ship�s captain until after they were married! Perhaps he thought that knowledge of his profession would dissuade her from tying the knot? As he left the port for his first foreign trip as a married man, Ann wondered to herself if she would ever see him again! On Oct. 13, 1867, Master Mariner Anthony Cockerill tragically died on the �high sea� at age 38, whilst sailing from Hamburg to Sunderland. An inquest held at the Salutation Inn, Hendon Sunderland, concluded that having �expired suddenly� on board the family owned ship 'Star in the East', he had died from �natural causes�. PS. When Master Mariner Anthony Junior died in 1867, his son, also called Anthony, was barely 7 years old. 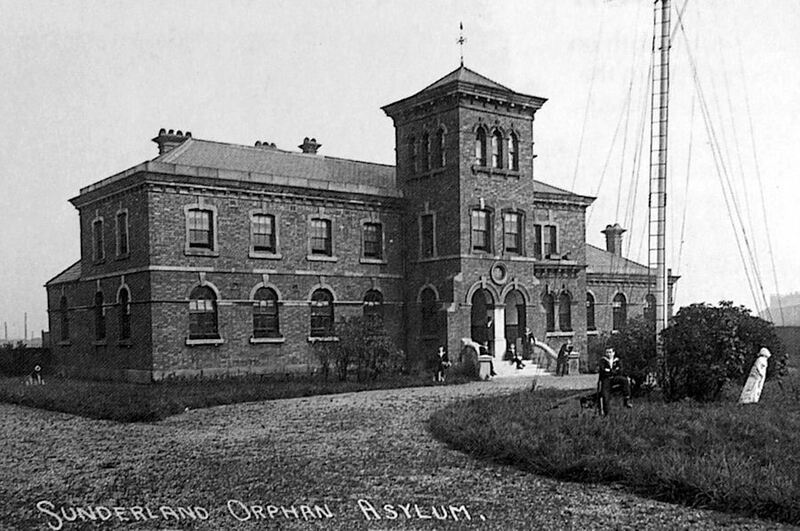 He was placed into the Sunderland Orphan Asylum, where he was educated and taught the skills of seamanship. Did he follow in the footsteps of his father and become a sailor? No, he kept his feet on dry land in Sunderland and became a cabinet maker! 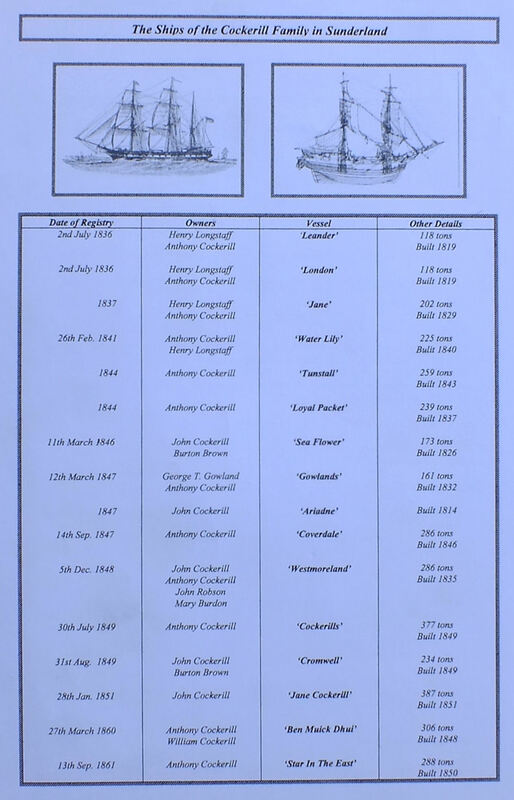 A 'COCKERILL' FLEET LIST - in sequence by year of build, mostly built in Sunderland - the list transcribed from Keith Cockerill's fleet list, slightly adjusted.